We all have different tastes and know what we like. Visiting a new country is about stretching your comfort zone and experiencing something new, but how far out do you want to reach? 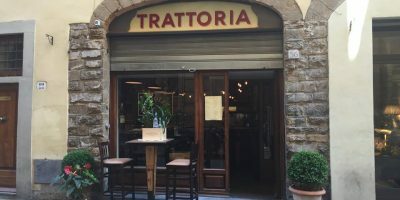 This isn’t a post listing restaurants I recommend in Florence. In fact, it is a post about why you should be careful being influenced by articles or reviews suggesting or discouraging restaurants. There is a wealth of information easily available on the internet written by local bloggers or reviews on Trip Advisor and such, but is it always trustworthy? Sure, reading reviews is a great source of information and the food photos can be so appealing that we all put it on our list to try. I too, search the internet for restaurant ideas when I am visiting a new town. 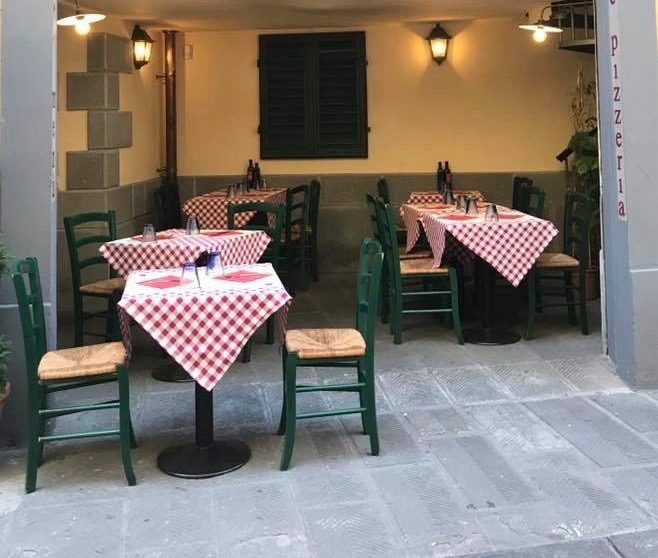 However, I have seen many people disappointed by meals they had because they thought it was a “must go to” restaurant since their favorite blogger wrote about it, a photo was snapped of a celebrity there or it had rave reviews on Trip Advisor or Yelp. Be aware that most bloggers are compensated in some way for a good review. Even if it is a free meal, it qualifies as payment. I never reveal I’m reviewing a restaurant during a first visit, but if I truly enjoy the restaurant, I ask to get inside the kitchen for videos during a subsequent visit to share a more detailed experience for others. While I have never written a bad review and choose to remain silent for those meals on the internet, I will always write a positive review when I truly believe it, regardless of receiving any compensation. I do believe that most bloggers want to share their great experiences at restaurants and that’s what I feel it should be about. I love posting photos of my scrumptious meals and want visitors to experience it too! Just remember, it is only a personal opinion on what “I” or “they” like. If you are following a blogger and trust their suggestions, pay attention if they regularly frequent the place they promoted. Do they make more than one post about their meals there? For me, I constantly return to the scene of the crime so I can indulge more if I truly enjoyed my meal and post additional photos. Some bloggers may have a huge following, but may also have truly different tastes than you. No one word is golden which means you will have an exceptional experience dining at a location because it was suggested. Plan instead to search the internet for the typical dish of the city that you think you will enjoy and then narrow it down to a location reading reviews of that dish. It’s your taste that is most important! And then there is Trip Advisor, Yelp, The Fork and etc in the mix. Here, we can see both negative and positive reviews. Is each review really written by a patron? For the most part, I believe yes. However, I’ve seen some cruel reviews written only to hurt an establishment plus some overly positive ones that seem fake. Don’t let a few reviews sway you. I tend to give a restaurant a second try unless it was a completely unbearable experience from service to food to expense. Also remember, the dish reviewed might not be right for you and there are other options to try. Again, look for the photos and reviews of the dish you would like on their menu and see how popular it is. You may see a lot of articles written about authentic food. Well, maybe you don’t want to try lampredetto or tripe in Tuscany as most Americans won’t. Just because it is served as a specialty at a restaurant doesn’t mean the rest of their food will be up to the traditional standard. Be sure to check out other dishes on the menu for reviews on your preferences. Never, NEVER sit at a restaurant that displays a tourist menu outside. You’ve heard of it and you’ve seen photos of the chalkboard listing multiple courses for a fixed price. This is never a good meal you will boast about, I promise. Most times, yes, it plays a role. The location of a restaurant does play a factor in how good the food is (in my opinion). 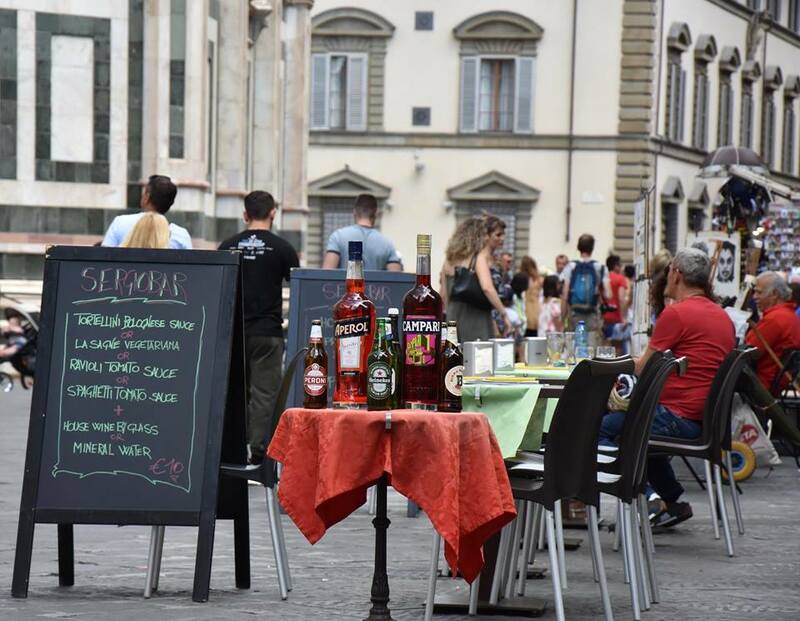 I’ve never had an amazing meal sitting in a magnificent piazza outdoors enjoying the view in Florence to date. There is nothing wrong if you want to experience that moment admiring the beauty, but I’d suggest just a drink unless you are starving and can’t last with a snack. I do that often too!